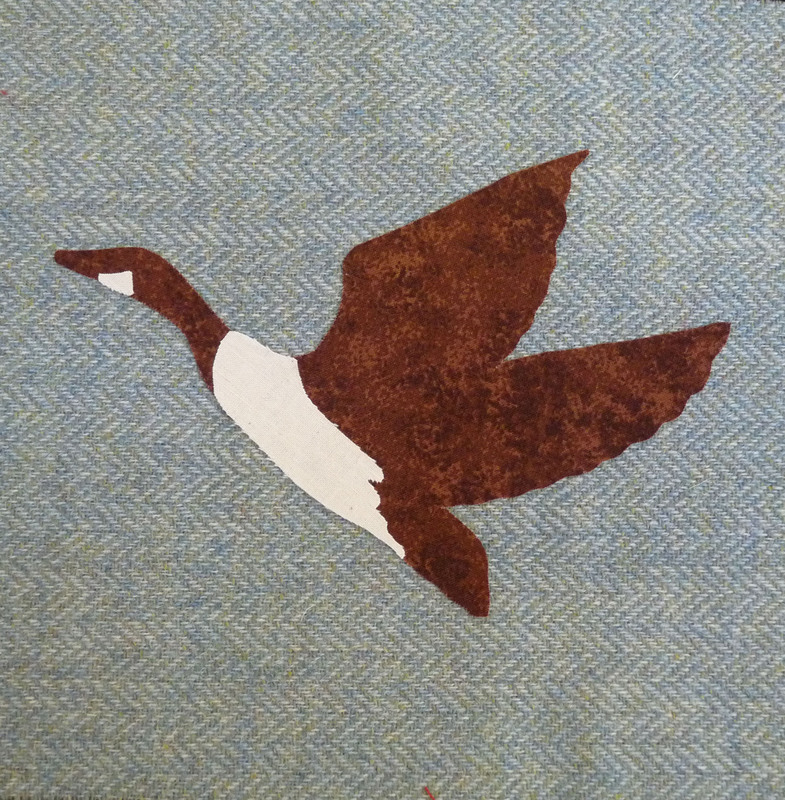 Clever Sue was playing around and look what she created, this lovely flying goose (still needs a bit of stitch detail adding.) 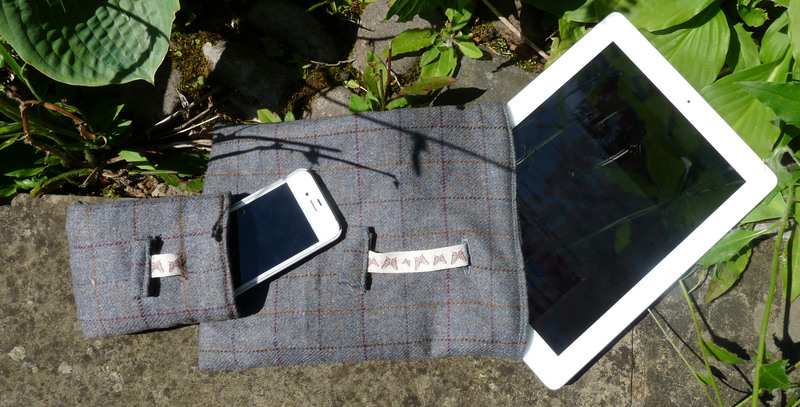 We thought that she could add a flying geese strip…or two and then make it into something, we are pondering what would be best, a bag or a cushion? What do you think? She has chosen a beautiful duck egg blue wool tweed for the background with cotton fabrics for the applique. We have picked out some beautiful tweed plaids to go with this panel in gorgeous dusky pinks; even at this stage it looks totes amazeballs! 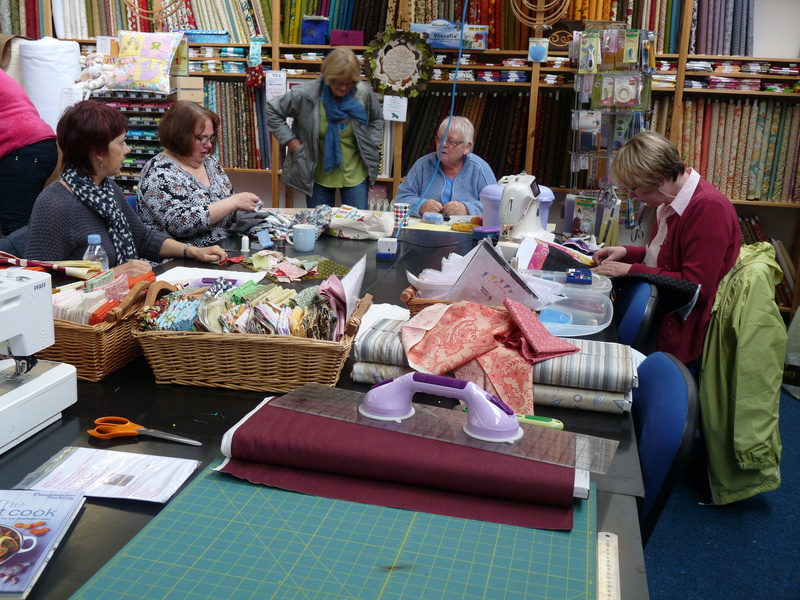 We have had a brilliant tack and chat session this morning, the table was full of chatter and exciting projects. Jean was finishing her Jennie Rayment Suduko cushion, if its finished in time she will be able to show Jennie when she comes to stay with us in July (spaces available if you are interested) Jennie will be doing her tucked and pleated circles with us. 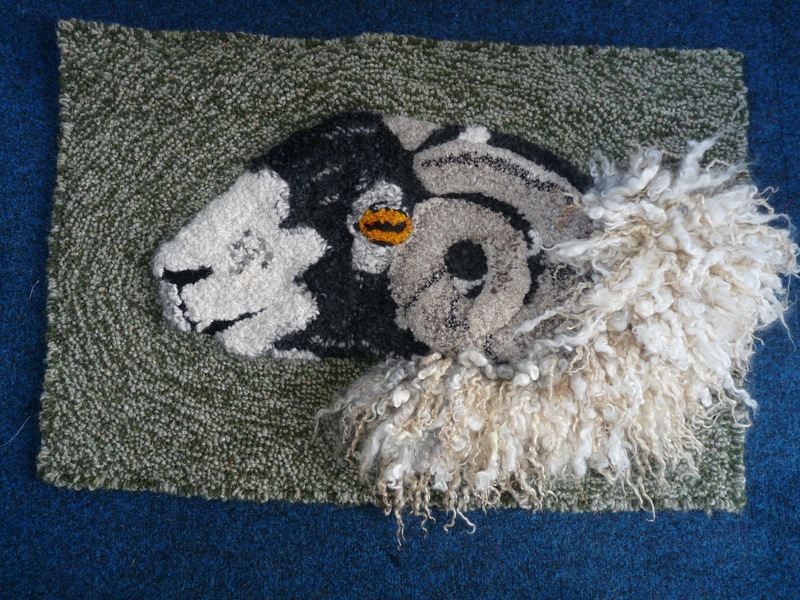 We also had Karen making another rag rug, however Karen’s rugs are nothing like us mere mortals would make, check out the photos below of these carved, textural extravaganzas. I love tack and chat day! Well the world was well and truly put to rights this morning at our tack and chat session. Everything from racism, stockings and suspenders to air ambulance fund raising. I love tack and chat. As Eileen says, there’s not much that can’t be sorted out round our table! Land round for a brew, if your at a loose end on a Wednesday morning…Kettle’s always on! Wednesday 14th May. Box making with Denise. Sunday 25th May. Sock monkey with Eileen. Sunday 22nd June. Thread catcher with Denise. Nifty bit of kit to keep your sewing area free from stray threads. Friday 18th July. 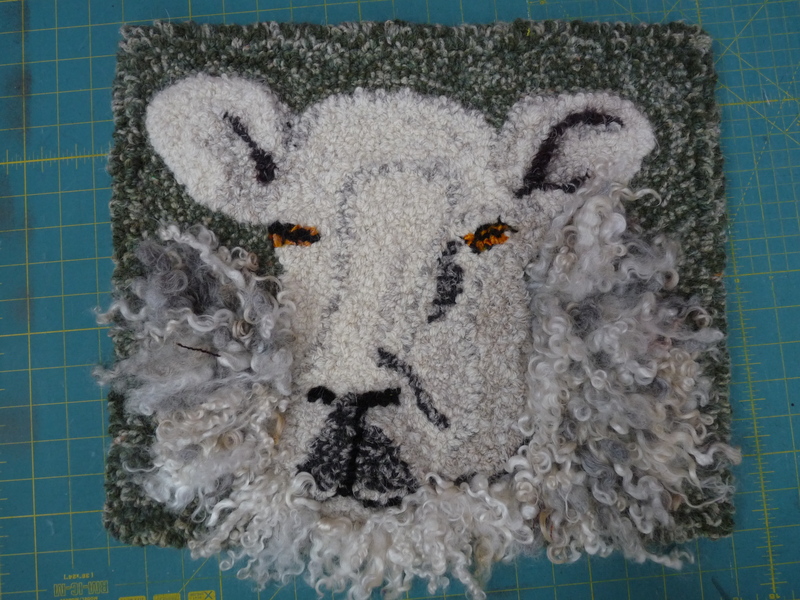 Appliqued wall hanging with Denise. 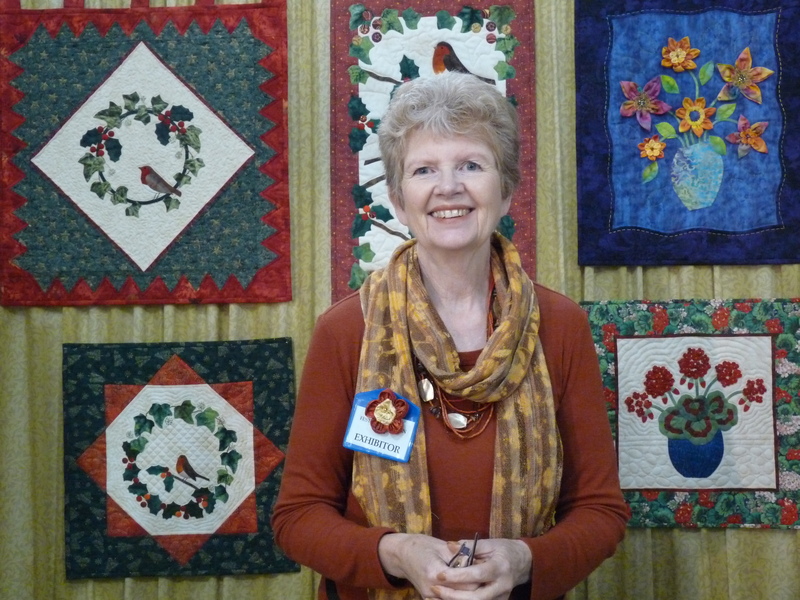 Quilting Antics is far more than just a shop, we are a community, a place where people can come and ‘be.’ We share a common interest in crafting, we pride ourselves on the community that we have built, as good ole’ Diz says, “there’s not much that can’t be sorted out round our table” and she is absolutely spot on. Well, having said all that today has been a sad day as we have said good bye to one of our own. 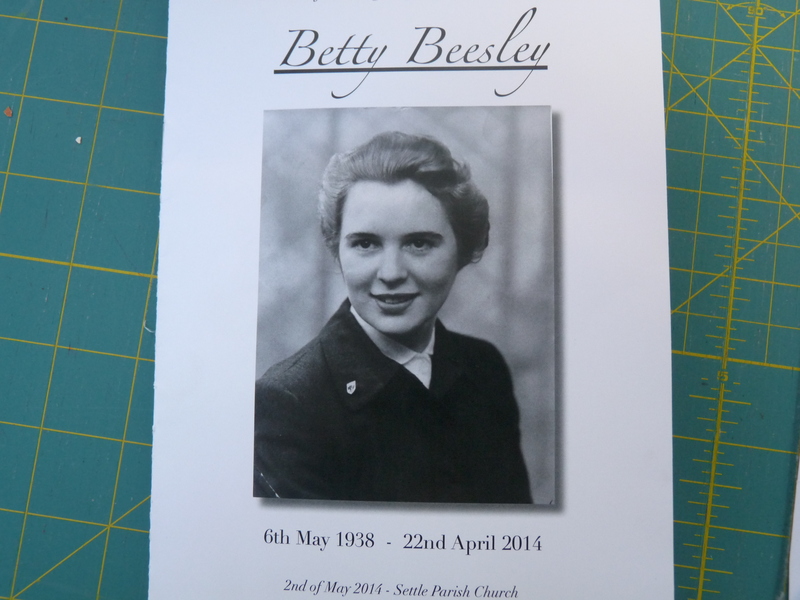 Betty Beesley embodied everything that we stand for; a wonderful larger than life character, whose pride and joy was her family, her friends and her crafting. Betty used to call in for a cuppa and a natter and we absolutely loved her.